hey guys id like to pass along something from our buddy tony (wood shaver) who lives on the florida coast,in the likely path of hurricane irma.i pm him yesterday and he sent me a response from his cell phone,his internet is out due to a lightning strike https://youtu.be/hUOVpUX2Z70 he says hes ready to weather the storm and will be back soon.send him your prayers and any other jocks in its path. Praying for him and everyone else. Nature is neither fair nor merciful at times. Prayers for Tony and family. And for all of Florida! Tony, hope all will be well for you. Praying you weather the storm. Thank you for posting this Pottz and thank you all for your prayers. We still don’t have Internet and we already used all our 3G data on our cell phones. We are on a slow 2-G speed now. Hopefully we get the equipment from our Internet provider today so we can get back up and running today. Thanks for the up date Tony and scores of others are in our prayers. I hope and pray that this storm won’t be as bad as the news tells you ! Stay safe and our prayers are for you and everyone in Florida . Although many countries away its big news in Brisbane and I feel for those in its path. I was just PM ing Bermuda Les but he is 2000 klms away from it. However Puerto Rico and Florida a very different story. The situation is not helped by the loss of cumminications leading up to the event. As above my thoughts are with everybody. As you all know by now we were hit by a lighting strike about a week ago. 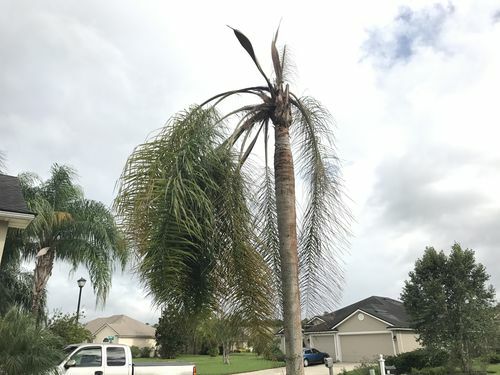 It hit a Queen palm tree and a smaller palm in our front yard. I also follower an old AT&T phone line to their box attached to the house and blew it up! It also knocked out some of our internet equipment. I just received new equipment from our internet provider. Because they were short on help because of the pending hurricane I had to install the radio on the roof and the router my self. Made a call to the tech and we are now up an running. I’m happy to have internet service before this hurricane hits. I’ll most likely loose it again along with power and god knows what else when the storm arrives. We are all set with food and water and we have a 5000/W generator that will run the house. I picked up an 8000 BTU AC unit because our Generator won’t run the whole house AC unit (too big). All we can do now is wait and pray! Thank you for all your kind words and prayers. I hope everyone in the storms path gets through this with out any harm. Good to hear you have communications back. spelt correctly this time!! OMG the mistakes we make for all the world to see and then find out you cannot even correct them later!! LOL!!! Rob, I think the “edit” button should always be there for us to use so we can fix our mistakes. I can’t be a critic of anyone that makes Type-O’s I feel that I make the most. Anyway I’m just happy we got our internet back just before we get hit with this Whooper of a storm! I’m not in the shop building anything at the moment but my anxiety is building with each waiting hour for what’s about to hit us. I’m hoping to see Irma take a sharp turn to the East before it hits FL. The current track is down right scary! Thanks for your concerns everyone! Thanks for posting potttz. I’ve been out of town for a few days without any awareness of whats been going on. Remote fishing areas may be great but you loose touch with the world. I’ll have to send him an e-mail. Hey Dave did you click on the link that pottz posted? I caught the strike on our security cameras. A little late to the party here, but, Tony, are you doing alright? I hope you weathered Irma ok, and all are safe and dry. Please update us to let us know you’re ok! Hi Dean and everyone on this post and ones that may come late to this post. My wife and I are doing fine. 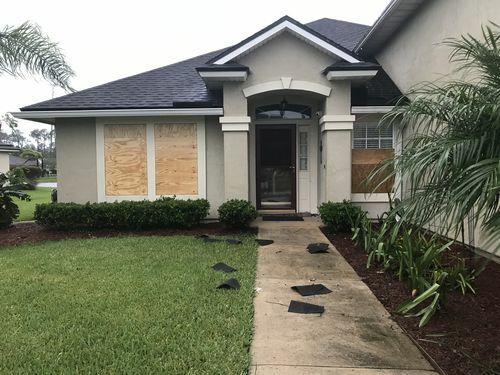 Abut Hurricane Irma; We are ok and suffered just minor damage. We lost a really nice Moringa tree in our back yard, some screening in our patio area, 26 roof cap shingles. And we have two ceiling leaks; one in the dining room and one in the master bath. No of this was serious and hard to fix. I replaced all the shingles and it looks like nothing ever happened. I installed new screen and removed the tree and stump already. Now all I have left is to repair the small water leaks on the two ceilings. Oh.. 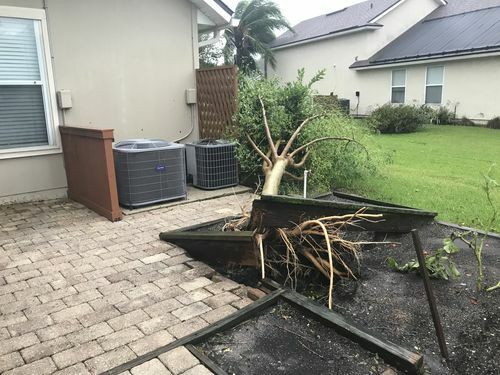 I still have the Palm tree that got hit by lighting out front to deal with. We are ok though! Lighting hit this tree, plus another 2 feet from the house. https://youtu.be/hUOVpUX2Z70 This is the same link as above. Two week before the hurricane we got hit by lighting. We only lost our internet. Nothing in the house was damaged.